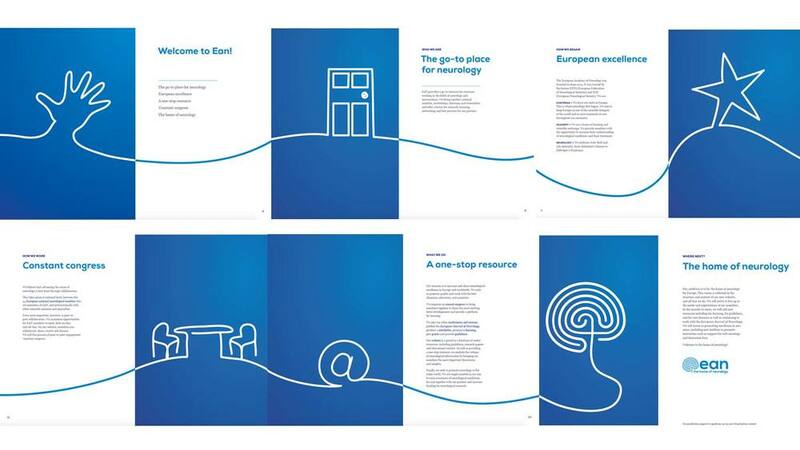 EAN, the European Academy of Neurology has evolved its brand with the help of CloserLondon this summer. 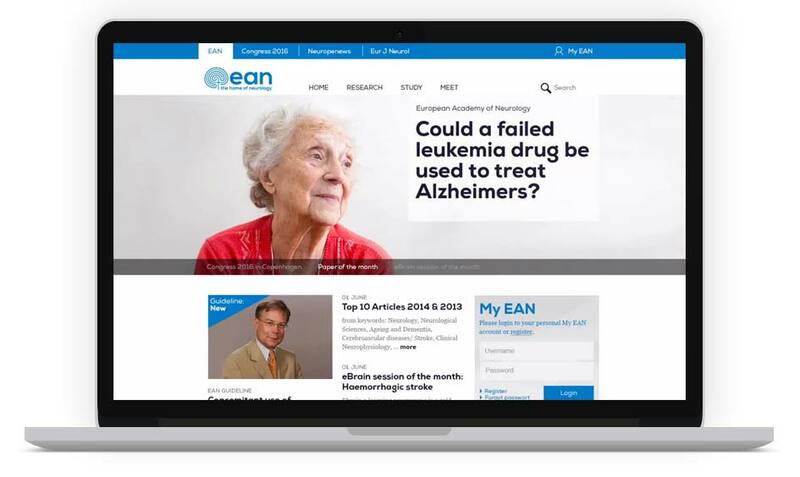 EAN was founded in June 2014 by two separate neurological bodies and was in need to update its website in order to provide their members with a more intelligent, faster, yet simpler way to connect, collaborate and increase their understanding of neurological conditions and treatments in Europe. We emboldened EAN to become the go-to-place for neurology, expressed through the driving idea and tagline 'the home of neurology'. It represents a member-focused knowledge brand that brings together national societies, institutions, clinicians and researchers and offers a forum for research, learning, networking and best-practice for the benefit of the patient worldwide. EAN - the centre of the neurological universe that has everything in one place to collaborate with its peers. To communicate its human-centric approach and keep pace in the field of health, we designed and restructured EAN's website in conjunction with Zeros+Ones as well as updated the logo and included the claim to make them appear fresh and bold. We helped launch 'The home of neurology' at this year's annual congress in Berlin with 6000 members present.